Product information "CDA FWC304SS Wine Cooler - Stainless Steel"
You can adjust the temperature of the CDA FWC304SS Wine Cooler to anywhere between 5°C and 20°C. You can keep the wine cooled for the perfect drink, or closer to room temperature if you want a long-term storage. The humidity is kept at 50 - 80%, the perfect level for storing wine. The CDA FWC304SS Wine Cooler is the perfect environment for your collection. 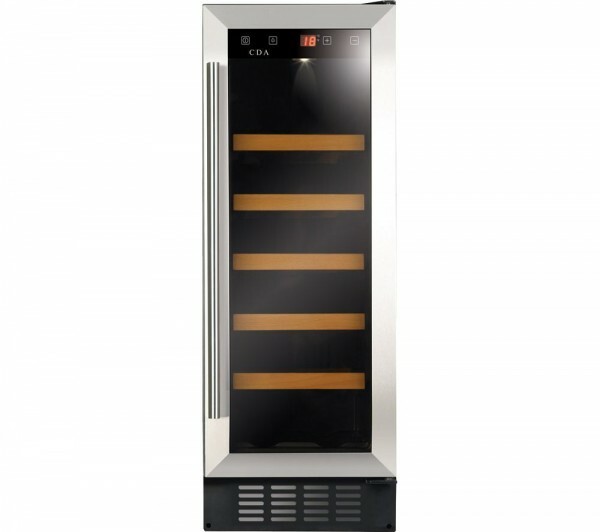 The CDA FWC304SS Wine Cooler runs with minimal vibration, so the wine is undisturbed and sediment-free. Related links to "CDA FWC304SS Wine Cooler - Stainless Steel"
Customer review for "CDA FWC304SS Wine Cooler - Stainless Steel"